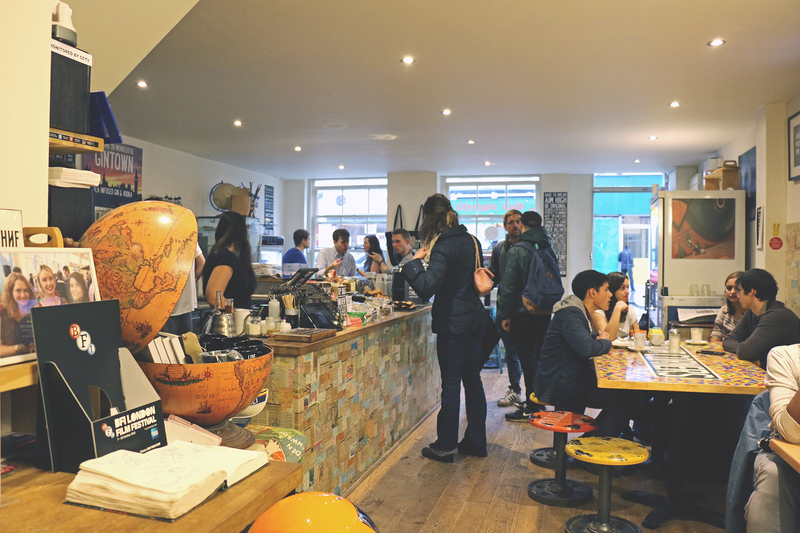 Just outside of Waterloo Station in London is a gorgeous travel themed cafe. 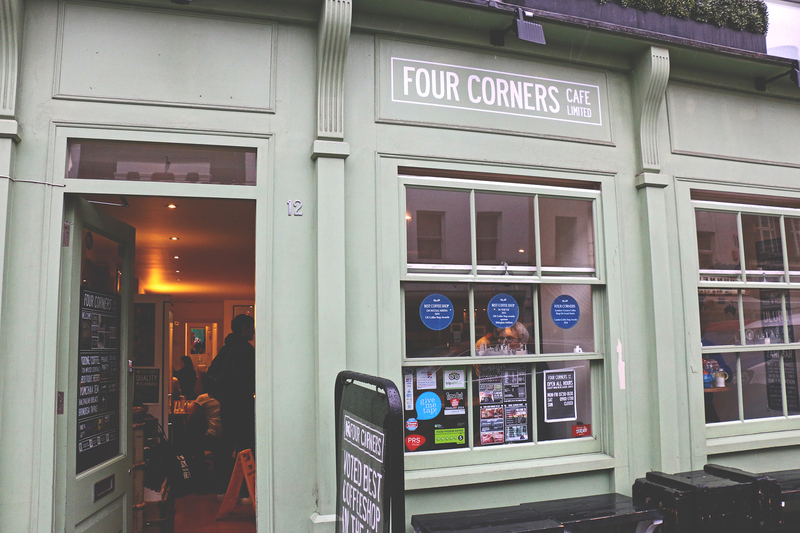 It sits on Lower Marsh street to be precise and is called the Four Corners Cafe. I saw a picture of it in Instagram a few weeks ago and immediately knew I had to go! 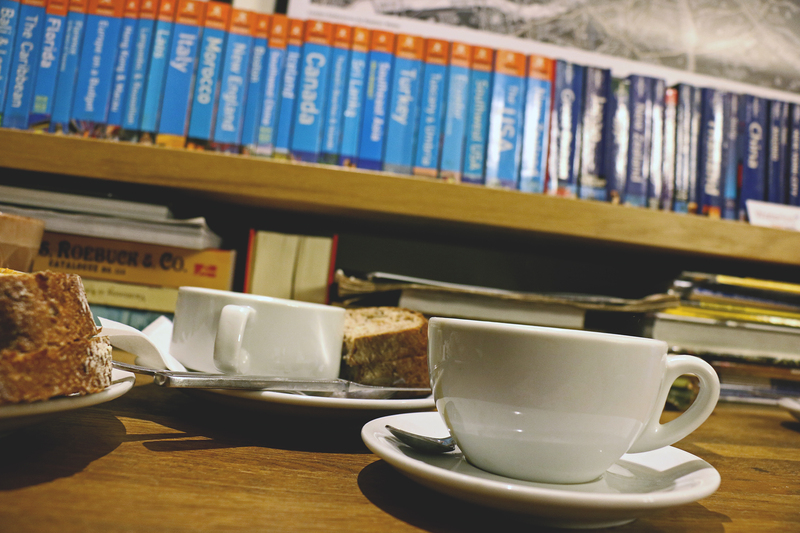 And what better way to escape the rain before our check in to the Grange Hotel at Tower Bridge than by popping in for coffee and soup. It was a rainy Saturday afternoon and as I wandered in I wander if JP would actually have managed to find a seat, it was heaving. 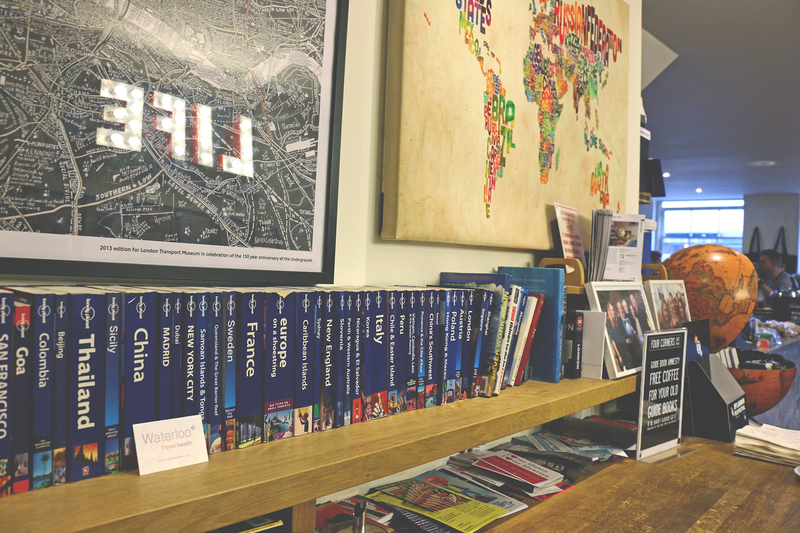 Luckily he had and he’d picked well because we were sat right next to the extensive range of guide books this cafe have. 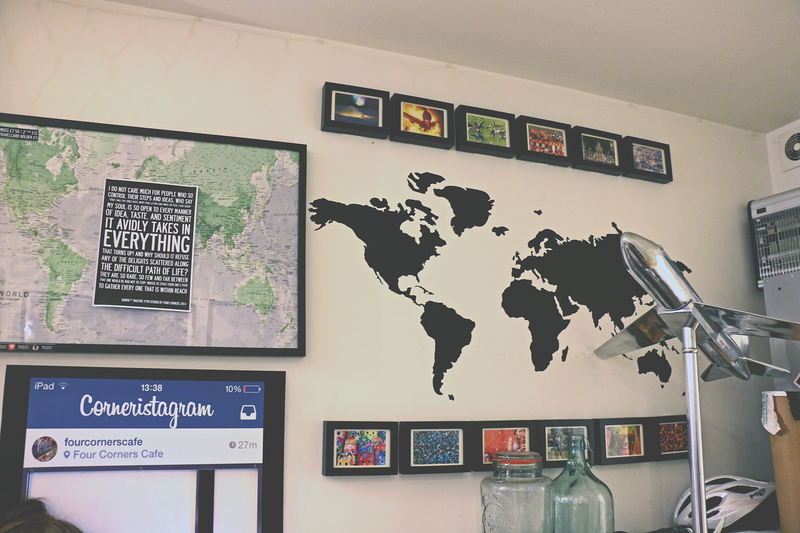 Tucked away in the back corner away from the rain I began dreaming of all of the adventures I’d like to take whilst staring at the maps. I quickly ordered a coffee, this place is famous for their coffee but I boringly order a black coffee… you could still taste it was good coffee however. I also snuck a sip of hot chocolate from JP and can confirm that was equally as yummy. Four Corners Cafe have daily soup specials and being indecisive we decided to order one of each flavour. Double cheese with potato and Mexican chicken bean soup (or something similar) each served with a chunk of bread, I’m not sure I could pick a favourite flavour out of the two either. 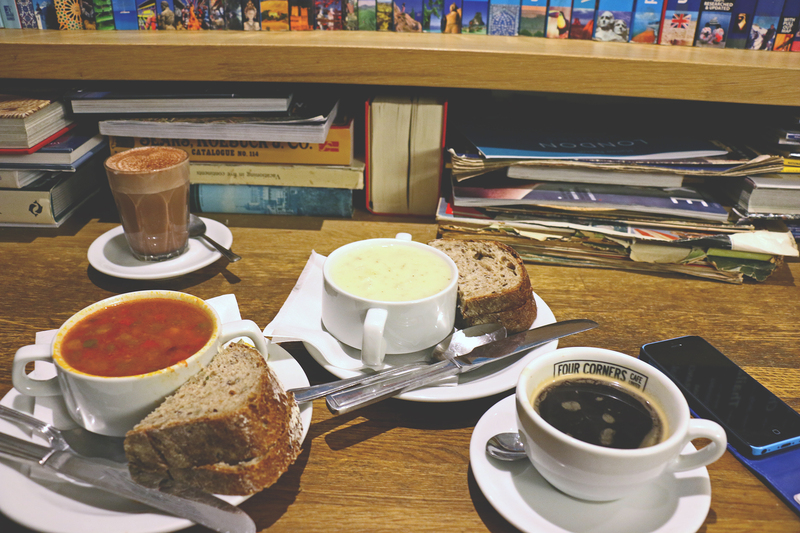 Both were delicious and just what was needed on a wet and cold autumn day. 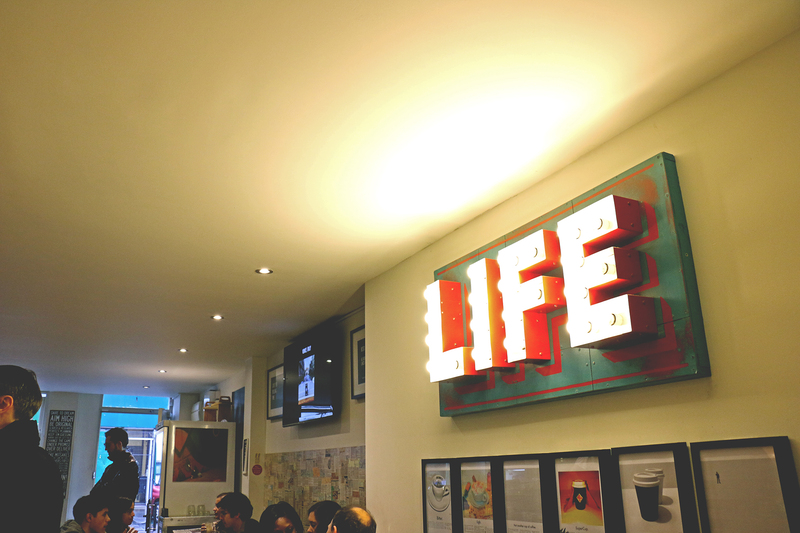 Opening Hours – Mon-Fri 0730-1830, Sat 0900-1700, Closed Sun. 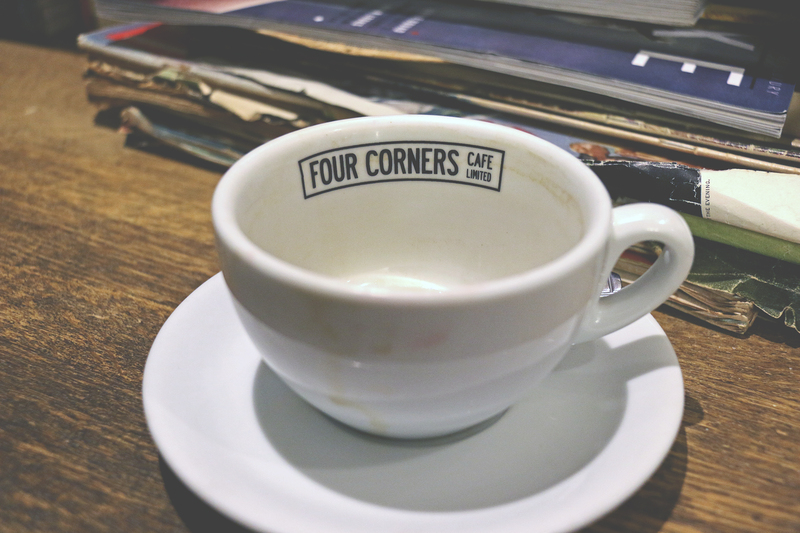 Have you been to Four Corners Cafe before? What did you think? You will love it Jessi! It is such a cute place. Wow, this looks like the coolest cafe ever. I can’t wait to check it out. What a great find! I second the travel blogger meet-up!